Agriculture is a fundamental part of Wisconsin's economy, even in the most urban parts of the state. 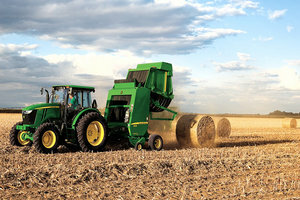 A recent study by the University of Wisconsin-Extension reveals that Wisconsin’s farm and agribusiness sector continues to grow, generating over $88.3 billion in economic activity each year and providing 413,500 jobs. This study indicates that about one in nine working people in the state hold agriculture related job. These jobs include farmers, their employees and those providing them goods and services like agriculture equipment dealers and leaders, crop and livestock consultants, veterinarians and more. Despite the effects caused by the drought in 2012 and Great Recession, Deller’s department found the agriculture has greatly contributed to the state’s economy. In fact, the agriculture industry generated $29 billion more economic activity in 2012 than it did in 2007. It also created 59,509 jobs within five years. In 2007, it accounted for 10 percent of Wisconsin’s overall employment and, in 2012, made up 11.9 percent. This study found that on-farm activity contributed 153,900 jobs, $5.7 billion to labor income, $8.9 billion to total income and 20.5 billion to industrial sales. Food processing added 259,600 jobs, $12.9 billion to labor income, $21.2 billion to total income, and $67.8 billion to industrial sales. As Deller explained, when we think of agriculture, we must focus on more than within farm gate and consider food processing as a fundamental aspect of the economy.